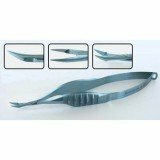 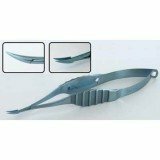 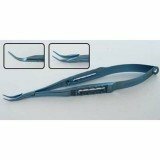 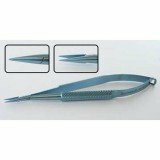 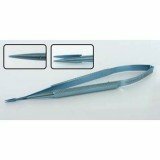 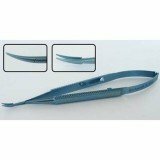 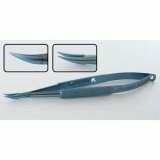 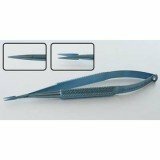 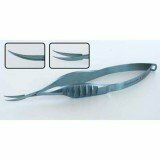 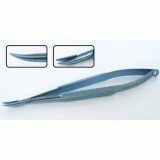 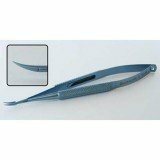 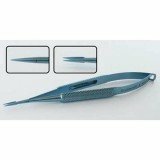 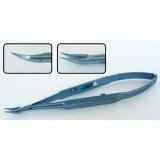 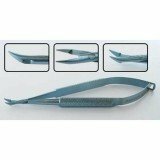 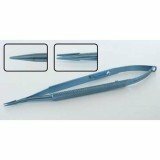 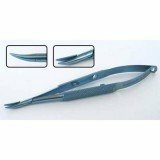 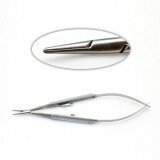 Ophthalmic and Eye Needle holders are used to secure needles in position during the application of sutures. 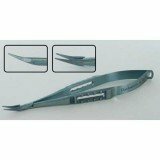 Features include spring action handles, clasps and locks, round and knurled grips, curved jaws, tying platforms, and more. 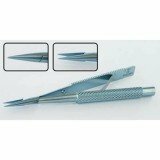 Popular patterns include Atkinson, Castroviejo, French, Bloomberg, O'Gawa, and Troutman. 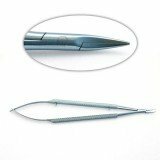 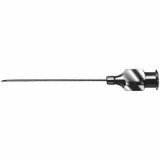 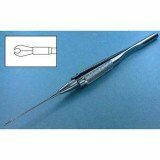 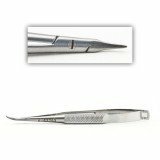 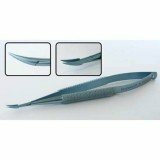 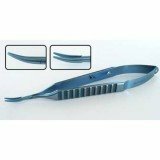 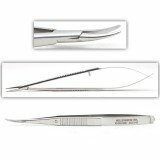 Delicate Catroviejo Micro Needle Holder St.
TITANIUM MICRO N.H. CURVED W/LOCK EXTRA DEL.